Heating season is not far off now. Soon you’re going to be using your furnace to keep your home nice and comfortable. Before you get to that point, though, it’s important to familiarize yourself with the signs that your system is in need of repairs. The faster you can recognize that your furnace is struggling with some sort of issues, the faster you can get it fixed and the better of it will be. Preventive maintenance can reduce the chances of problems occurring, of course, but you should still know the signs that it’s time for professional repairs. The following are just a few of the more common signs that your furnace is in need of some professional services. Which Heating Systems Typically Need to be Repaired Most? When you are in the market for a new heater, one concern you probably have is system durability. You don’t want to pick a heater that will need repairs routinely; any good heater should only require repairs on rare occasions. So which of the various options on the market is the least reliable, the one most prone to breakdowns? There’s an easy answer to that, which we will share with you. It’s powerful information, something essential for all homeowners to know so they can avoid this kind of heater at all costs. The staff at Climate Masters feels, however, that we can safely push you away from this system that needs too many heating repairs in St. Augustine, FL without frightening you too much. 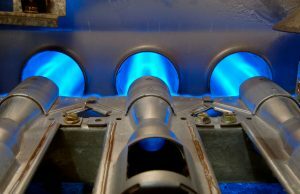 However, all­ heaters should receive annual maintenance. Gas furnaces are perhaps the heaters that benefit the most from these inspections, because it helps avoid possible health hazards. But you shouldn’t develop the habit that you can go slack on maintenance for other types of system. Treat them all the same: schedule maintenance once a year. Maintenance will prevent repair needs long before they begin, and the tune-up will make sure the heater isn’t running inefficiently and putting stress on the components that might lead to malfunctions. There is no better way to reduce calls for repair technicians than a yearly check-up and tune-up for your system. On top of the reduction in repairs, regular maintenance will also keep your heater from draining excess power to run. You’ll save money on repairs and your heating bills. Climate Masters has an excellent maintenance program that delivers you two visits per year: one for your heater and one for your air conditioner. Signing up for the program also provides a 10% discount on parts and labor for most necessary repairs. Talk to us today about our maintenance agreement so regardless of what heater you have, it will be the one that needs the least amount of heating repair in St. Augustine, FL. Posted in Heating | Comments Off on Which Heating Systems Typically Need to be Repaired Most? Florida isn’t known for its cruel winters, but the climate can still hurl surprises at us, especially during the evenings. Your heating system will experience some periods when it needs to work hard to keep you warm. If your heater starts to malfunction, you need to know what signs to look out for so you can get it timely repairs. Here are three ways to tell that you need to schedule professional repairs for your heater. And we stress professional, because trying to handle repairs yourself can end up costing you much more. When you need heating repair in St. Augustine, FL, contact Climate Masters. We’re now moving into our third decade of business providing quality heating and cooling to St. Johns County. An unexplained jump in your heating bills: If you’ve already lived with your heater through a previous winter season, you’ll know what to expect to see on your bills during the time of the year when it does the most work. Pay close attention to these bills, because if you notice an unexplained spike in price, it usually means that a malfunction is occurring somewhere in the heater that is making it work harder than it should. Heater coming on and off at the wrong times: If your heater is turning on when it shouldn’t, or shutting off before the house gets warm enough, there could be a number of culprits behind it. A common reason for this is a malfunction in the thermostat, which causes it to sense the temperature incorrectly and turn the heater on and off when you don’t want it to. You’ll need to have professionals investigate this to find out what is causing your heater to behave this way. Whatever your problem with your heating system, Climate Master will have the solution for it. Contact us any time of the day or night for heating repair in St. Augustine, FL.